In Part I of this series (available at: http://www.ft.lk/article/610886/Reform-of-exchange-controls--There-is-a-need--but-do-it-correctly-%E2%80%93-Part-I), it was presented that Sri Lanka which had enjoyed a control free environment from time immemorial had clamped exchange controls on its citizens in 1939. The objective had been to prevent the foreign exchange resources of the country from falling into the hands of the enemies of the British Empire which fought a war against the Germans in Europe and against the Japanese in the East. Its coverage was limited to non-Sterling area countries which had not used the Sterling Pound as its currency or as its reserve asset. By all means, the exchange control was a temporary measure introduced during the wartime and was expected to be lifted at the conclusion of the war. Yet, the circumstances that prevailed after the war, it was pointed out, even after the independence from the British rule in 1948, the country was destined to continue with exchange controls. This time, the coverage was universal that included even the Sterling area countries. Several reasons could be attributed to the change of policy in this manner. First, the British Raj which also had introduced exchange controls in 1939 had made it a permanent law in 1947 by enacting its own version of the Exchange Control Act. Second, India whose currency had been kept by Sri Lanka as the reserve asset when it issued rupees to the system under the Currency Board system had also introduced exchange controls after independence in 1947. Thus, the example set by the two countries placed Sri Lanka on high moral grounds to continue with exchange controls. Third, both Britain and India froze Sri Lanka’s foreign assets which had been kept with them under exchange controls. As a result, though Sri Lanka had a massive amount of foreign reserves, it was practically starved of foreign currencies to even to continue with the prevailing import programme. They were released back to Sri Lanka only after deliberate negotiations were conducted in London and New Delhi and even then, in small instalments. Fourth, there was a fear that the accumulation of foreign reserves by the country through strict exchange controls and the increase in the rubber prices in the international markets could reverse after the country and the world reverted to the normal situation. All these were compelling reasons for Sri Lanka to continue with exchange controls after independence and make them a permanent law in 1953 by enacting its Exchange Control Act or ECA. First of all, exchange control means, in economic terms, two restrictions on citizens’ behaviour. In the first case, citizens who have earned foreign currencies through hard work are prevented from using them according to their choice. For instance, an exporter or a migrant worker who has earned foreign currency is prevented by law from using his or her hard earned income to buy, say, a motor car of his choice from another country. Second, citizens who have earned local money, again through hard work, are prevented from using it for consuming goods and services produced in other countries by converting rupees into foreign currencies. For that, they need to get the approval of a public authority, in this case the Controller of Exchange, who is appointed specifically for this purpose by the government. The reasons usually adduced by governments for clamping exchange controls on citizens are as follows. It is argued that, though citizens earn foreign currencies through hard work, such earnings are a national asset which should be carefully used for the prosperity of the ‘nation’. The irony is that the nation is defined here as a collection of people in the country which is made up of exactly those citizens. Then, it boils down to the question of the appropriateness of a choice being made individually as against a choice being made collectively. In this instance, it is believed that citizens individually cannot make this choice to maximise the nation’s interests because their personal interests might be at variance with those of the nation. Governments – in this case, politicians in power and bureaucrats who support them – think that they are in a better position to demarcate the boundaries of national interest than private citizens. Having demarcated them, they say that they have the right to declare anything that does not fall within that boundary as moves made against the nation’s interests. From this line of arguments, the governments derive the justification for introducing exchange controls in their respective countries. But from the viewpoint of property rights, exchange controls are a nationalisation of property rights of citizens. In the case of an exporter or a migrant worker, the foreign currencies earned by such parties belong to them. Therefore, at his or her choice, such foreign currencies could be sold to a commercial bank for local money or used for buying goods and services from other countries. Exchange controls frown on the latter but have no objection to the former. In fact, they promote such sales because the nation, according to them, has access to them for whatever the purpose they think suitable. But then, the ownership of those currencies now gets transferred to the bank in question which has in turn paid value for them out of its own resources. If it cannot use it for sale to customers and make money, there is no reason for banks to buy foreign exchange sold to them by their customers. But exchange controls restrict their use by the new owner using exchange controls. Thus, private citizens are prevented from using what they own and restrictions imposed on them in this regard amount to nationalisation of private property. It may appear from the surface that such a system is beneficial to a nation. If the country does not own sufficient foreign exchange to meet its requirements, it could supply itself with the necessary foreign currencies by preventing their free use. However, a good economist as opined by Frederic Bastiat in 1850 is one who will see the effects of a policy today as well as in the future. If anyone who sees only the visible effects, he is a bad economist. When looked at from this view, it is clear that though a country may get benefits immediately via exchange controls, as time passes, it would stands to lose. Thus, an economist with foresight will not make that choice. This can be explained by drawing the analogy of a bird’s cage. If the door of the cage is kept open, birds can come and go freely without any fear of being trapped inside the cage. However, if it is closed after they fly in, they as well as those outside immediately perceive that it is a trap and once a bird had gone in, it cannot get out. Therefore, it discourages new birds to fly in. It leads to the consequence that the number of birds that would fly into the cage is limited and the birds’ cage would not expand. An economy too is destined to stagnation if it has prevented citizens from using their hard earned money according to their choice. It may nationalise them today and enjoy the spoil. But it will not have anything to nationalise tomorrow because no one would produce something which it can nationalise. It is in this background that ECA was enacted in 1953. The consideration by authorities was that they have a shortage of foreign currencies and therefore, the limited availability should be strictly controlled by suppressing private choice. Instead, bureaucratic choice was introduced. The salient features of ECA are as follows. The Central Bank implements ECA as the agent of the Government and for that purpose has to create a separate department called the Exchange Control Department. The officer in charge of the department, designated the Controller of Exchange, has to perform his duty under the general supervision of the Governor who in turn has to consult the Minister of Finance for directions. The Minister can make regulations to facilitate the carrying out of the ‘principles’ and ‘provisions’ underlying ECA subject to final approval by Parliament. To function as an intermediary between citizens and the Central Bank, the Minister of Finance is empowered to appoint any commercial bank as an ‘authorised dealer’ in foreign currencies and gold. Gold here means not gold jewellery but gold coins and bullion which perform the function of money in an international setting. Restrictions have therefore been imposed on all citizens to deal in either foreign currencies or gold which only authorised dealers have been permitted to do. 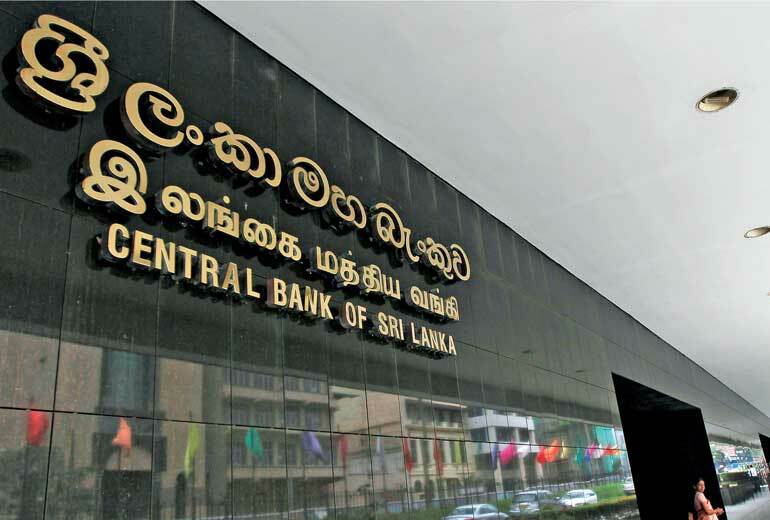 Accordingly, all citizens have to get the approval of the Central Bank to buy, borrow or accept, sell, lend or exchange foreign currencies or gold coins or bullion in as well as outside Sri Lank. They can do these deals only with authorised dealers. Accordingly, anyone who holds foreign currencies or gold is required to sell it to an authorised dealer at a price determined by the Central Bank. It has further been provided for that citizens cannot make payments too to those outside Sri Lanka without the bank’s approval. Issuing securities for the purpose of raising foreign capital by local businesses has been a normal commercial activity. But ECA has prohibited the citizens to issue such securities except with the permission of the Bank meaning that they have to obtain the approval of Exchange Controls for that purpose. ECA has also prohibited citizens to import or export of currencies and gold except with the approval of the bank. This prohibition is then extended to goods which cannot be exported from Sri Lanka without the approval of the bank as determined by the Minister of Finance. In instances where citizens have disposed of foreign exchange to buy property outside Sri Lanka, ECA has provided for the Secretary to the Ministry of Finance to direct those involved to sell such property. According to ECA, such property should be assigned to the Deputy Secretary to the Treasury who in turn should pay the net proceeds of the sale to the Treasury. As a bureaucratic organisation, the Central Bank has been empowered to make decisions with regard to applications made by citizens for approval of transactions which have been prohibited under ECA. If it is a refusal by the Central Bank, the aggrieved party could make an appeal against such decision to the Minister of Finance within 10 days. In this connection, draconian powers have been vested with the Central Bank and the Minister of Finance with regard to such decisions and appeals against decisions. If an aggrieved citizen has not made an appeal to the Minister within 10 days, then it is tantamount to admitting that the Central Bank has made the correct decision. If an appeal has been made and the Minister has rejected the appeal, then the original decision made by the Central Bank as well as the subsequent decision made by the Minister is to be considered as final and conclusive and cannot be challenged in any court of law. Thus, without judicial review, a public bureaucracy and a politician have been given discretionary powers that can at times be draconian from the viewpoint of the citizens. Foreign exchange violations have been made criminal offences under ECA. Accordingly, those who are found guilty of violating the provisions of ECA are subject to imprisonment or fine or both such imprisonment and fine. However, before the commencement of the prosecution of an alleged party in courts of law under ECA, the Central Bank may impose a fine on him. However, if the violation involves foreign currencies or gold, then, the Central Bank may impose a fine up to three times of their value. Anyone who is aggrieved once again can appeal to the Minister of Finance within 21 days. The Minister has powers to confirm, reduce, increase or annul the penalty imposed by the Central Bank. Once such determination is made, the aggrieved party cannot seek redress through the court system of the country. The provisions are in the opposite; that is, the Central Bank has powers to recover what has been finally determined by the Minister of Finance by prosecuting him in courts of law. This is where ECA has become draconian and contributed much to dissatisfaction of those who seek to invest in the local economy or export goods to foreign countries. The longer it is kept in this form, the more it becomes a birds’ cage of which the door has only a one way entry; that is, birds can go in but cannot get out. The next part will look at whether the proposed amendment has addressed these issues.